The procedures for obtaining or renewing work permits which require many steps and a number of documents may confuse those who live abroad and have little knowledge about Vietnam’s Labour Law for foreigners. 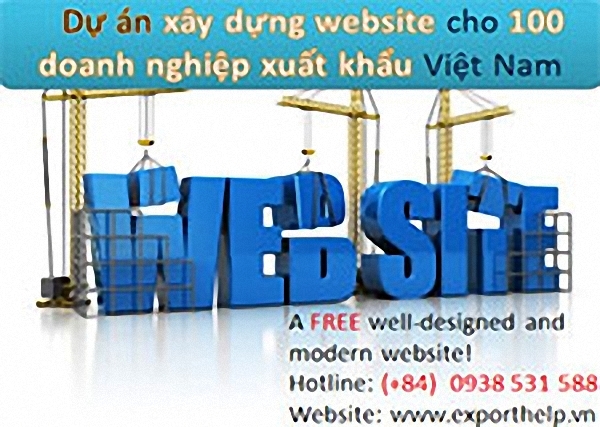 This article below by ExportHelp Asia will provide you with full overview of our scope of service in supporting Foreign Clients in applying work permits in Vietnam. Working less than 3 months or lawyers that are given permission. ***Now for those coming to Vietnam and staying for less than 3 months, they are just exempt from work permit if they are assigned to work in Vietnam to handle complicated technical or technological issues that cannot be solved by Vietnamese experts. Teachers of foreign agencies and organizations sent to work in international schools managed by foreign agencies. Foreigners entering Vietnam to implement international agreements to which central stage agencies, provincial state agencies, and central socio-political organizations are signatories. Foreign experts implemen­ting ODA programs and projects. Instead of applying for work permits, foreigners in the above cases must submit their application dossier to the Department of Labor, Invalid and Social Affairs of the province or city where they are employed for certification. The new procedures must be completed seven working days prior to the commencement of the foreign worker’s work. Employers who want to hire foreign workers have to prove their requirements as well as explain why Vietnamese can’t replace their foreign counterparts. Besides, employers also have to get approval from the provincial chief before hiring foreign workers. Annually, employers determine their demand in the number of foreign employees in every position and then send a report to the Chairperson of the Municipal People’s Committee. Only after receiving a Committee’s approval, the employers start their recruitment. Foreigners found working without work permits will be deported in 15 days. The new regulations reduced the validity of work permits for foreign workers from three to two years. Furthermore, when your work permit is expired, you can’t apply for an extension but have your permit re-issued. III. What can ExportHelp Asia do to assist you? Support Client to fill in, submit the application documents for the purpose of obtaining work permits in Vietnam as well as pay all the fee to the government. Support Clients in recruiting and managing the newly-incorporated company’s personnel. Support Clients in finding suitable importers/distributors/suppliers.